I know this is an old post, but I just want to say that Move Closer is my favorite, favorite book to think with. It is comforting and stimulating and generative and humane and amazing. 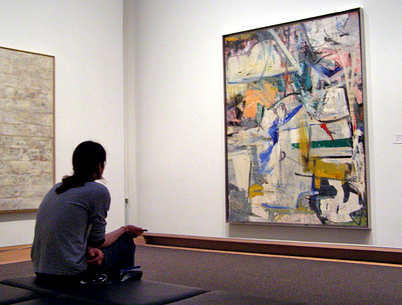 The way you used it in the galleries is inspired — I would love to have (and lead) more experiences like that. I have been to a few Art Circles at the Getty, and they get pretty damn close to transcendent (most of the time). I would love to find other museums doing gallery talks like the above. Never too late to share your love for John Armstrong. 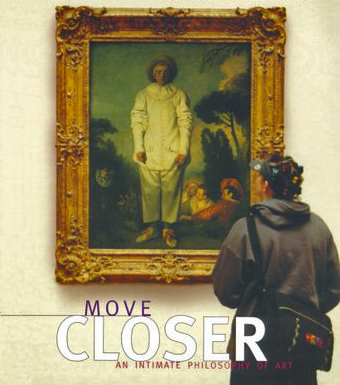 His “Move Closer” is still one of my all-time favorite books on how we experience art and think about it in a personal way. I wish it were not out of print — since it should be required reading for museum ed. I’ve never been to an Art Circle at the Getty (not have I heard of them), but it sounds really fantastic. Do you know who coordinates them? Might make for a really interesting blog post for AMT. Ah, Art Circles are great: one hour of communal dinner with all participants, then one hour in the galleries with one work of art. The only rule is no side conversations. (The Getty blogged about it a few years ago: http://blogs.getty.edu/iris/art-circles-better-than-bowling/). The majority of Art Circles I attended were led by Lilit Sadoyan, and a handful were let by Elliott Kai-Kee. Basically, it’s Teaching in the Art Museum…in the flesh. One vote for a blog post about it!